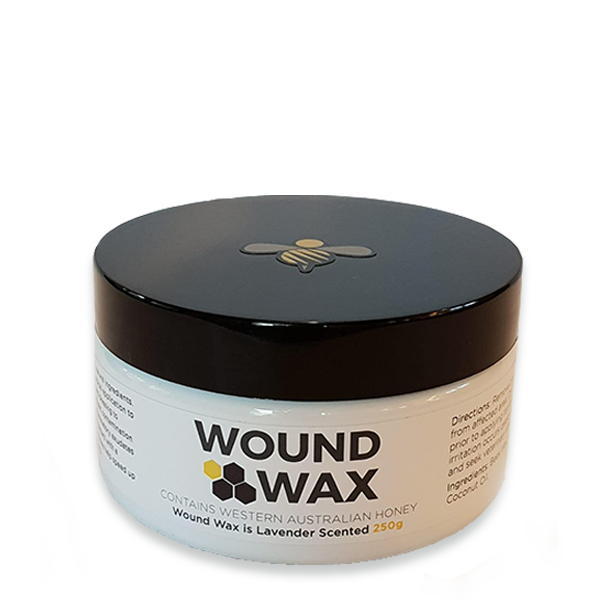 Wound Wax’s new formula salve may look a little different, but it’s still packed to the brim with the same nourishing honey and beeswax that our customers have come to love and trust. 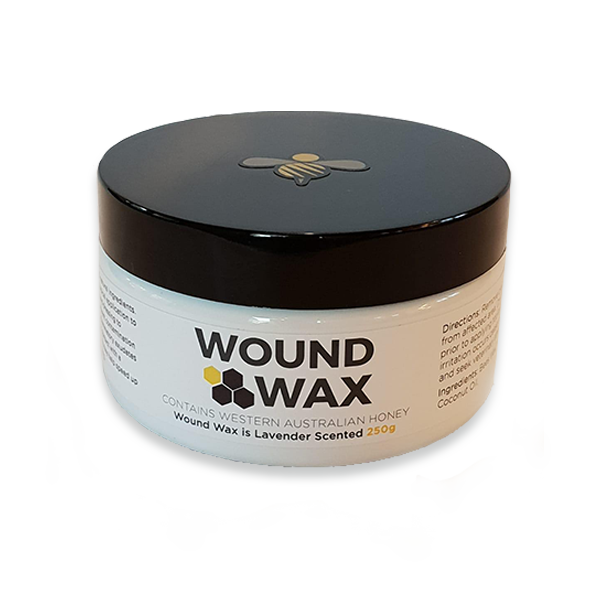 Made in Western Australia using local honey and beeswax, Wound Wax was developed by an equine vet for application to superficial wounds in horses and dogs. 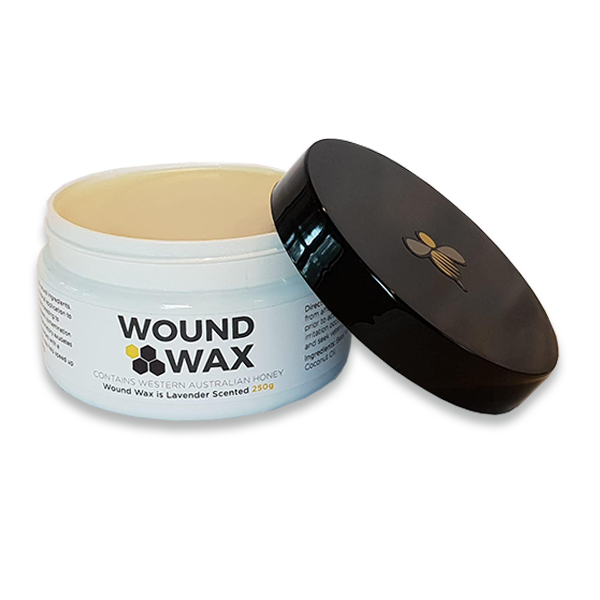 The original Wound Wax formula was made from honeycomb cappings, which are the exterior of the sealed honeycomb. 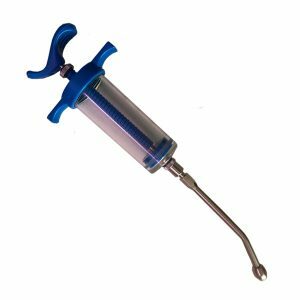 This rich compound contains varying quantities of honey, beeswax, propolis and pollen, combined into a smooth paste. 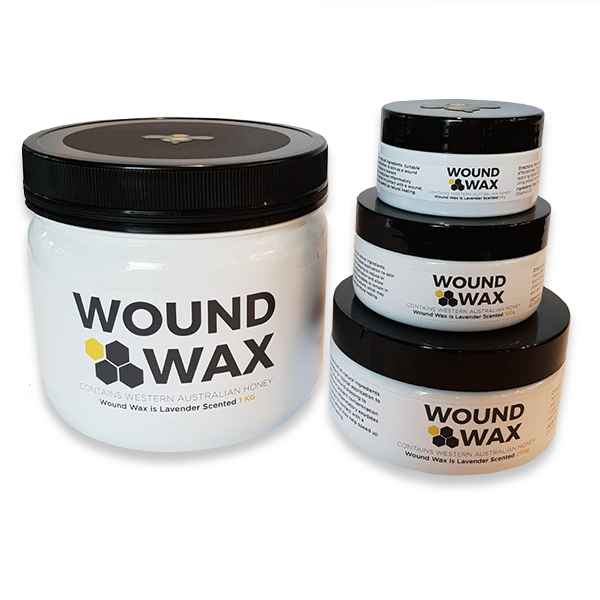 The new Wound Wax formula is produced using precise quantities of beeswax and honey, which guarantees a more consistent, pharmaceutical grade product. 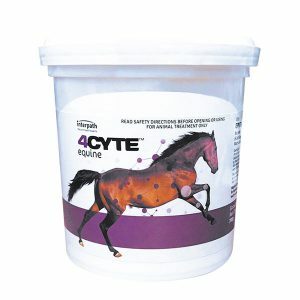 Available in 1L, 250g, 100g and 50g plastic PET jars (50g only available online from APIS Australia).